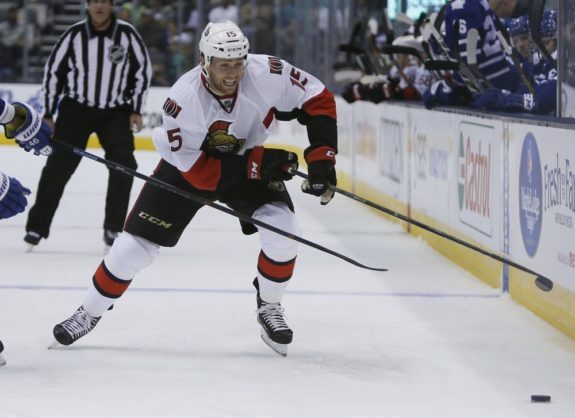 Should the Edmonton Oilers Claim Zack Smith Off Waivers? Should the Oilers Claim Zack Smith? 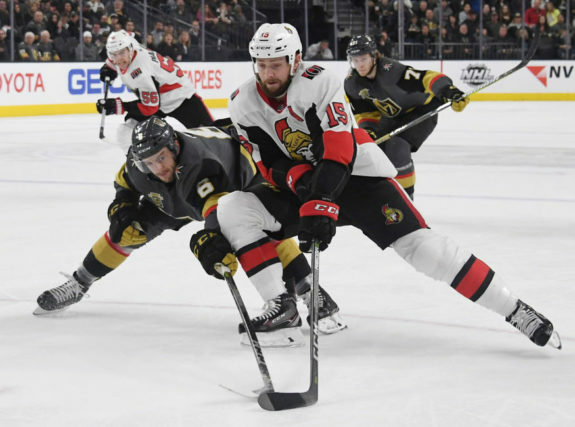 The Ottawa Senators placed veteran center Zack Smith on waivers on Tuesday in a surprising, yet not terribly surprising move. A depth center that had an awful season in 2017-18, he’s typically good for 15 goals and 30-plus points. He’s the kind of depth center most teams would love to have, yet the speculation is that the Senators couldn’t find a home for him in trade, thus placing him on waivers was their next logical step. The question that might be worth asking, should the Edmonton Oilers consider claiming Smith off waivers? For the most part, Zack Smith is reliable and he’s extremely loyal. While he had a down season, he’s not traditionally the type of player who struggles. Meanwhile, the Oilers are not the most experienced team. Perhaps there’s a fit where the 30-year-old Smith can come in and mentor some of the less experienced forwards. So too, Edmonton lacked leadership last season. It was the absence of players like Matt Hendricks and others that made a sizeable difference in the team’s ability to overcome obstacles. It’s the same reason the team went out and acquired a player like Kyle Brodziak. Senators coach Guy Boucher said the players in Ottawa were taking the news hard and specifically, Matt Duchene called the news a “kick in the balls” to the Senators locker room. To say the least, there are people inside the Senators organization who are not happy. While Eugene Melnyk foreshadowed some of these changes coming, when players leave and their teammates are not just disappointed but angry, that’s a sign that player makes a significant difference to the culture of the team. Boucher holds Smith in such high regard, he’s already said if Smith clears waivers, he’ll likely return to Ottawa and not go the AHL even though the Senators will save over a million dollars by demoting him. It wouldn’t hurt for the Oilers to have a player like that. As is, Smith is expensive. A depth center who has three seasons left on a contract that pays him $3.25 million per season, he’s far too rich for the Oilers blood, especially if you look at how close Edmonton is to the ceiling of the NHL salary cap. The Oilers simply can’t afford to add Smith without first removing another contract. One option might be for the Oilers to wait for Smith to clear waivers and then try to trade for him with the Senators. In such a case, the Oilers would only pay half of the $3.25 million if they convince the team to absorb the rest of his salary. Smith has a no-trade clause that allows him to submit a list of 10 teams he would refuse trade to, but the reality is, if Smith knows he’s not wanted, he likely won’t stand in the way of being moved. Especially if you consider the public mess that the Senators appear to be this season. The downside of that would be what happens if Smith’s game keeps regressing. If what he produced last season is more of an indicator of what is to come, the Oilers would be locking themselves into a multi-year contract for a player that isn’t producing. That’s not worth the hassle even if they save money or can move a bad contract in return. The Oilers would be best to just let this one go. If this were a couple seasons ago when the team was desperately seeking help down the middle, I would have suggested the Oilers try to make this work. Today, Edmonton has good depth at center. Connor McDavid and Leon Draisaitl is about as good a one-two punch as the NHL can offer. The Oilers can then put Ryan Strome, and any combination of Kyle Brodziak, Jujhar Khaira, or young guys looking to break through onto the ice at any given time. In the end, Smith is just an unnecessary expenditure at a time the Oilers can’t be wasting money. If the Senators really don’t want Smith, someone will probably end up taking him, especially if the Senators are willing to do whatever it takes to trade him. Even then, Edmonton has bigger needs and can fill that spot with a player on a tryout or one who didn’t get a contract this summer. Smith was a nice idea, but today, he’s just not a great fit.